Dental Bridge vs Dental Implants? What's best for you? You are here: Home / Blog / Cosmetic Dentistry / Dental Bridge vs Dental Implants? What’s best for you? Hi! Today I want to explain the differences between the four unit bridge or making implants. I receive a lot of questions about what’s best, well the technology has been going way way far and you can get dental implants. If you are those types of patients which they say I don’t want no implants inside my body, I’m going to explain today, a four unit bridge made out of Zirconia, let’s take a look. We have a patient that lost two teeth, two bicuspids, here and she wanted a four unit bridge. Now what I did is this. This is a bridge, made out of Zirconium, it’s a four unit bridge because you have two teeth where you anchor and two teeth that go in the middle. So, this is a bridge and see the way it looks, it’s beautiful, now close please, open. When we perform a bridge like this, you shave your teeth down, you shave the bicuspid, you shave the molar, and then you can get amazing results with and you can look really really beautiful. What would be the difference with dental implants? Is that instead of shaving your teeth, you perform two implants and then you can make the individuals. The difference also is that you can floss in between. Here the only complication, you can get with a four unit bridge is and I can say it that is one things that many patients request, ask, how am I going to floss? Well, you can use things like water pick or there’s a special floss that can go below. There’s a difference, if right now you are not in a condition to have dental implants, well, we can do a bridge like this and if some day she wants to switch to dental implants, the only thing that we do is we just cut the bridge we stay with the crowns, we just cut the bridge, we can perform the implants, and after the three month healing process, now we can restore the abutments and crowns. So that could be a good solution. So if for now she’s thinking about only doing a bridge because she wants something really fast and she can come two times, well we can do that bridge and later on we can switch to dental implants. This is modern implant technology and also cosmetic. I’m Doctor Arzate, here in sunny Cancun! Thank you! What are the differences of porcelain crowns and zirconia crowns? More happy patients at Cancun Cosmetic Dentistry! #TBT Cancun Cosmetic Dentistry Review! 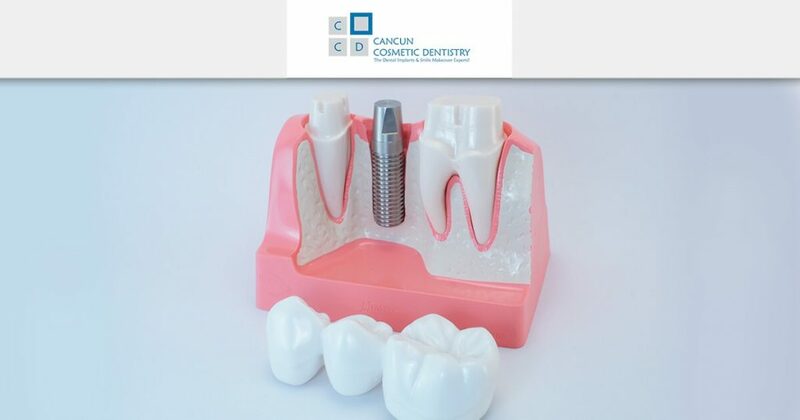 "I recommend this place very highly" Cancun Cosmetic Dentistry Reviews!